With an eye on the field, WPW has had the opportunity to get closer than ever to the gear we research every single day. We start to notice trends, tendencies, and I wanted to offer some of those observations up to you, as well as some items we are seeing for the very first time. One of these items is the “Prizm” lens by Oakley. This is a lens that emphasizes contrast, developed for athletes, especially skiers and snowboarders, who have to fight the sun and the snow while trying to determine their next move. 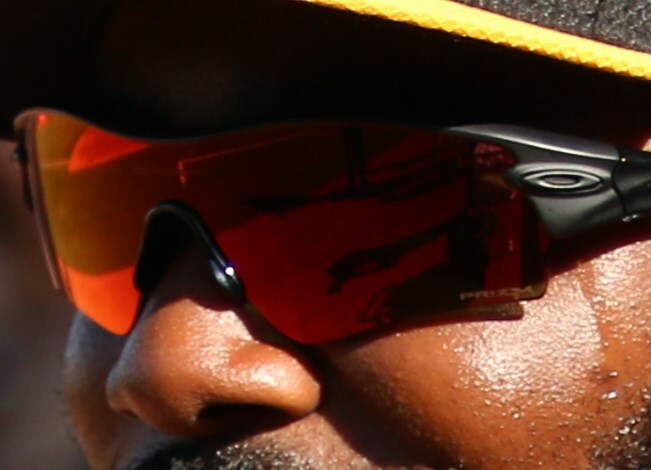 Oakley also sees benefits on the ballfield, and even offers two types of lens: the infield lens, for picking up groundballs, and outfield lens, for locking on to the baseball in flight. 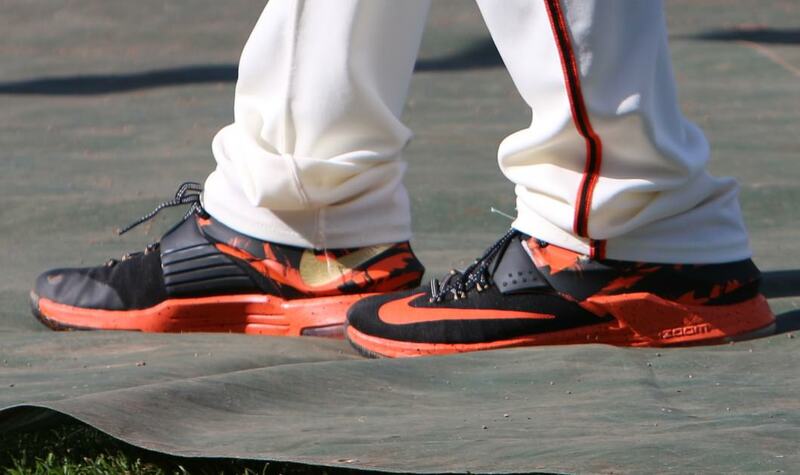 Another trend we’ve seen, basketball shoes as pre-game shoes. 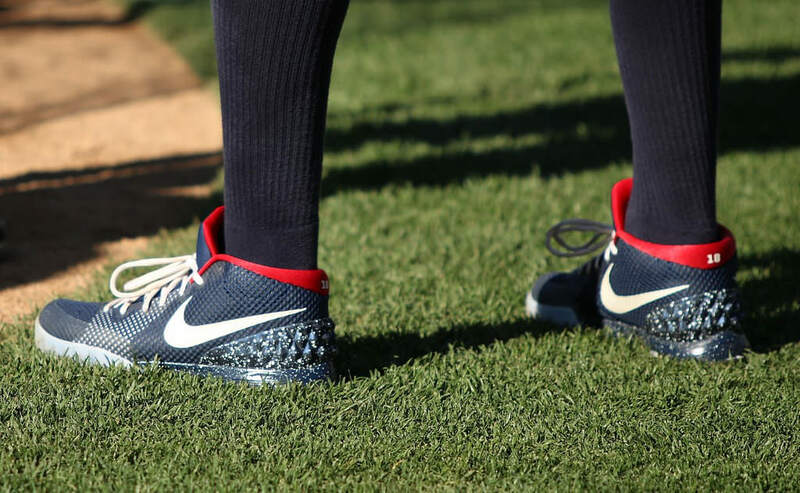 Above, Didi Gregorius’ NIKEiD Kyrie 1s. 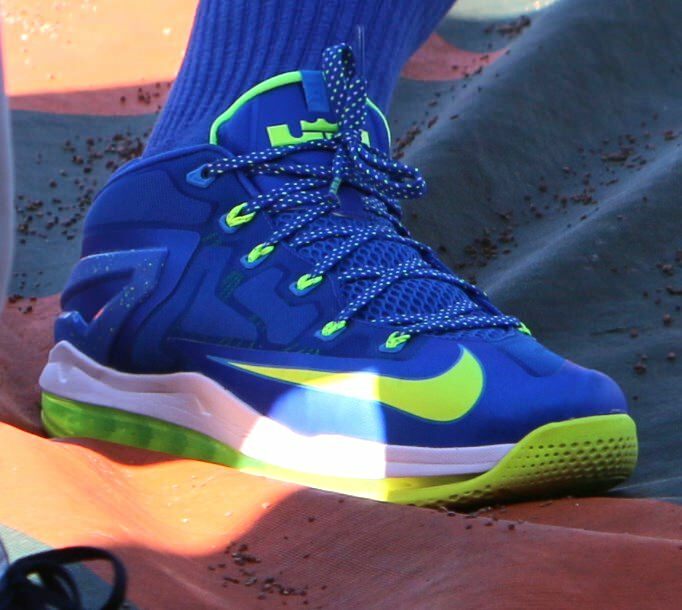 These are Howie Kendrick’s Lebron 11 Lows. 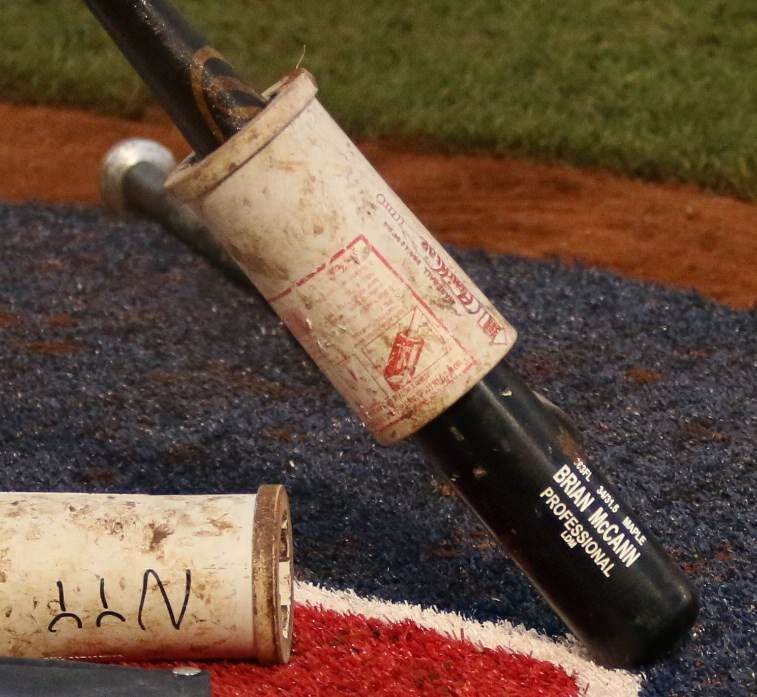 …a good bit of Rawlings lumber being swung in the Bigs. I just didn’t think Rawlings was really bringing it with the sticks, but clearly that I was mistaken. 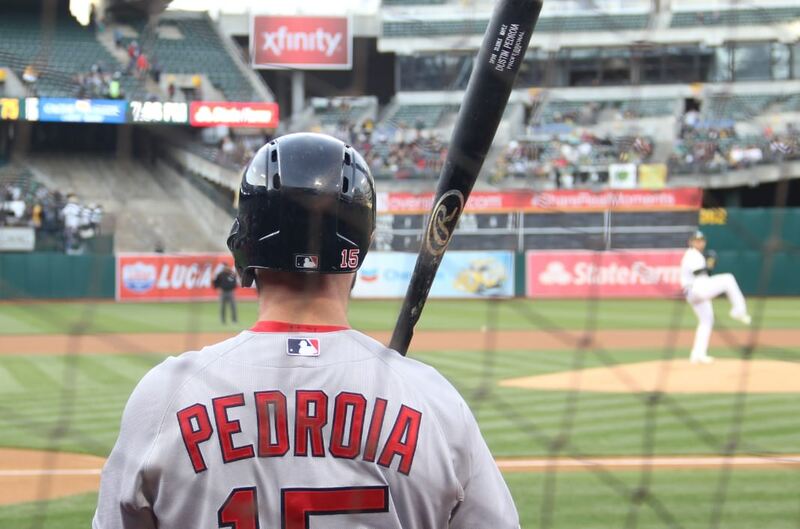 Pedroia’s DP318 above. 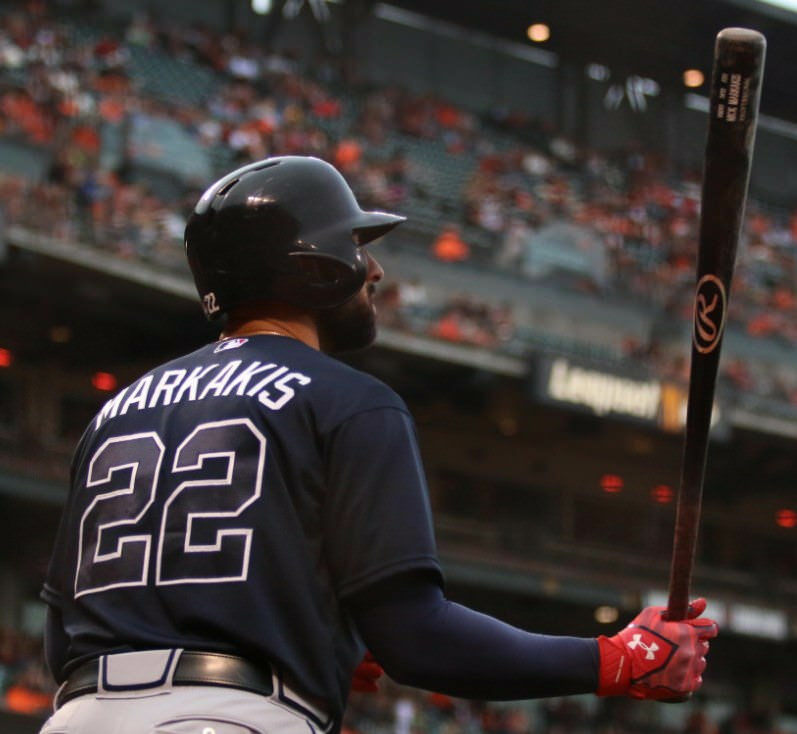 Nick Markakis’ Rawlings NM253 Ash. 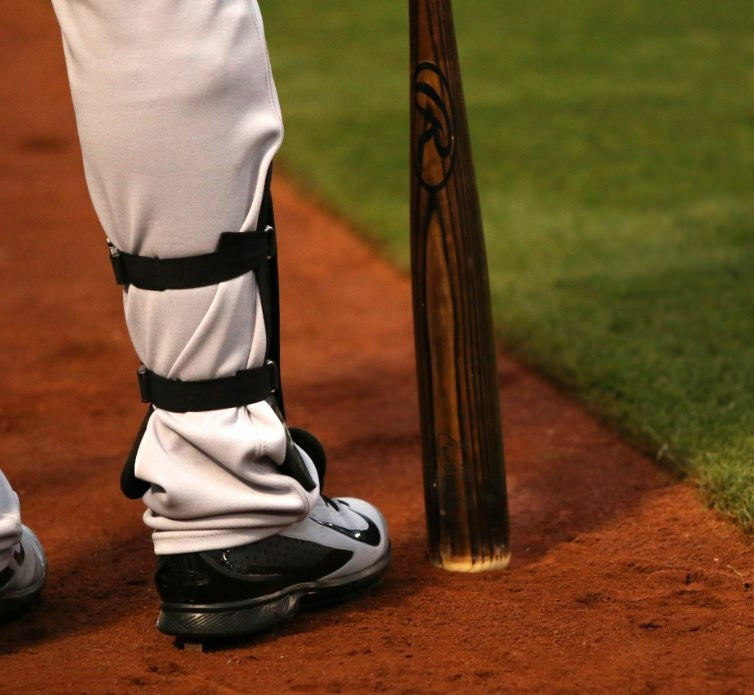 Brian McCann’s Rawlings Maple (model # obscured). Carlos Beltran had such a heavy stained look that we couldn’t make out a model at all. We did notice his signature engraved though. 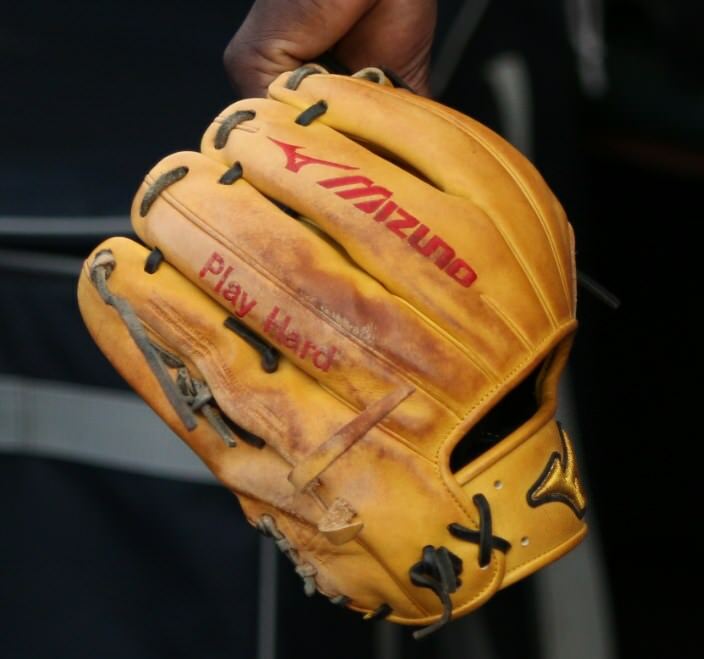 The stickiest trend we’ve seen is in the field, where a ton of guys use pine tar to tackify their gloves. 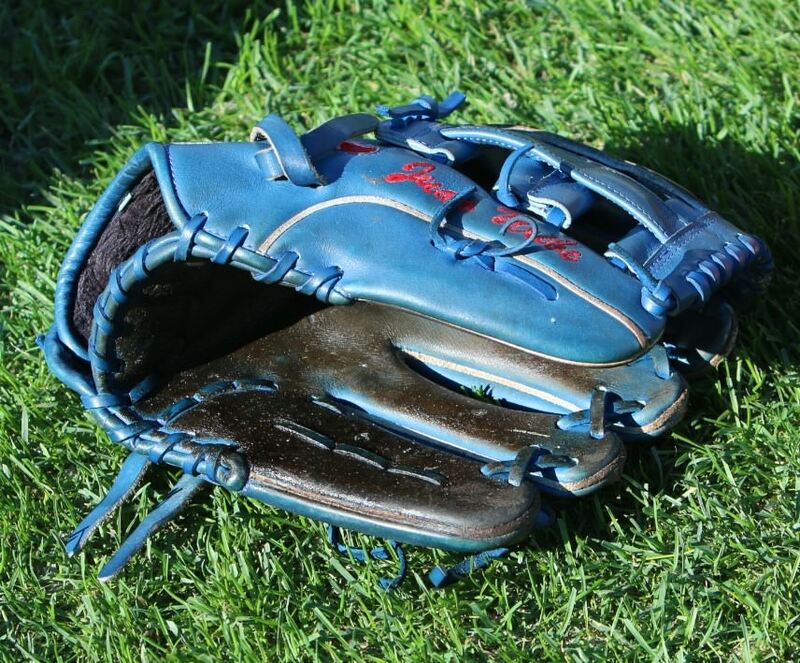 Above is the most extreme example, Juan Uribe’s glove, which looks like it was applied with a paint brush. Didi Gregorius is a uses tar in a little more moderation. 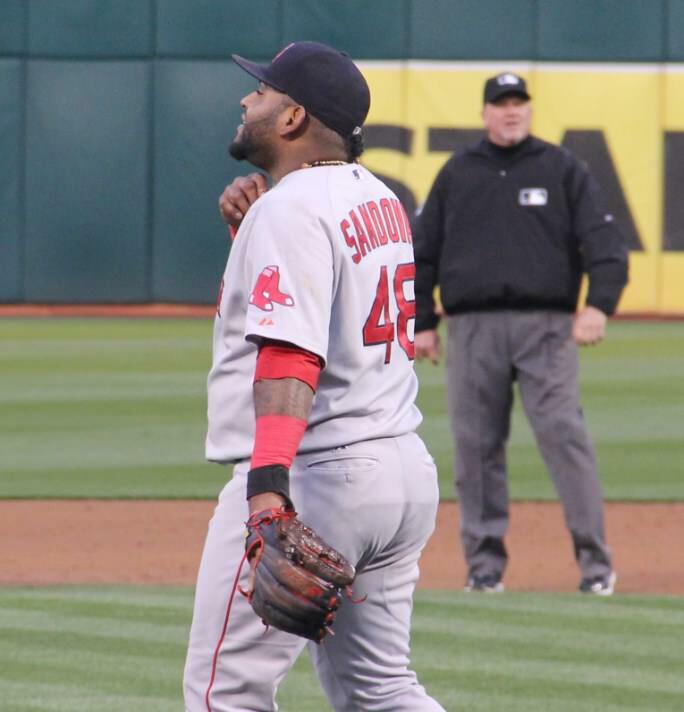 Both Sandoval and Pedroia used tar on their gloves, too. Some guys use it on the outside, others on the inside. Our guess is that the main reason for this is during those colder nights, so they can get a better grip on the baseball. We should note that there is no rule against this, and it is perfectly accepted and legal. No opponent would ever say anything, and if they did, the umpire wouldn’t care. We’ll keep an eye out as the weather warms up to see if this is still as common, or if it isn’t done at all. We highlighted it on our Instagram, but I wanted to give a little more speculative info on it. This one is Brian McCann’s, and it is of Japanese origin. In Japan, Under Armour gloves are pretty common. 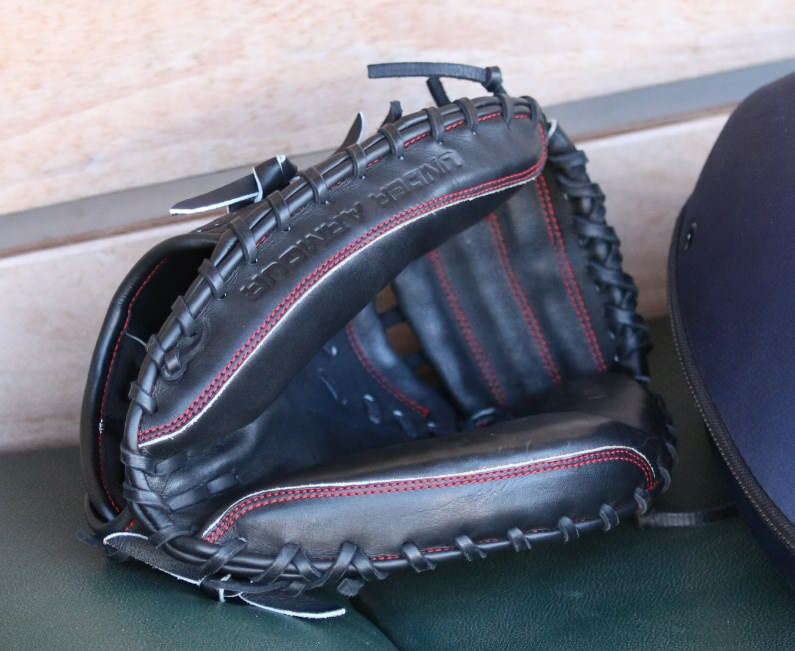 For whatever reason, they haven’t made it over to the states yet, but we heard from a reader who claims to know someone at UA who said that they plan to begin selling fielding gloves in the US starting in 2017. They also said they’d start with catcher’s mitts. Take that with a grain of salt, as I don’t know the first-hand source of that info (working on it), but it would make sense that they’d be moving in that direction, given that McCann is testing it out. 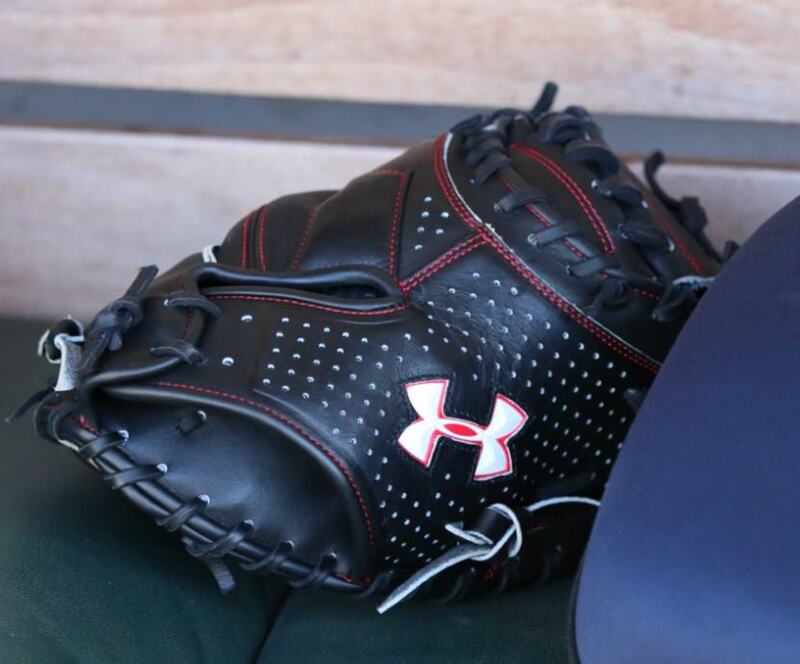 Would you consider a UA glove? Here’s a link to what it appears to be a review on the Under Armour gloves from Japan. The website is in Japanese however, but has great images on the Under Armour gloves that are available over seas.